Includes: Transportation, Drinks, Lots of Food! 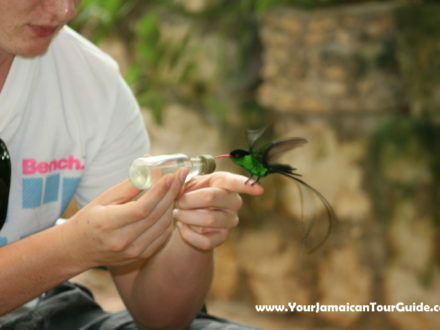 Our “Jamaica Tasting” Tour was created out of requests from many of our guests who were interested in eating authentic Jamaican food from and cooked within the local communities. (The food in the resorts are prepared differently to cater to a large diverse group compared to local cooking). We travel from your resort and make several stops along the way to try variety of different fruits, drinks, Jamaican patties and more. Jerk chicken is one of the most common types of food eaten on the island. You can find “jerk stands” set up all along the sides of the roads when driving around the island. Something unique about living on a tropical island, is that when you are hungry for some fish, you can simply dive in the water and get your dinner, which is exactly what we will be doing on this tour. 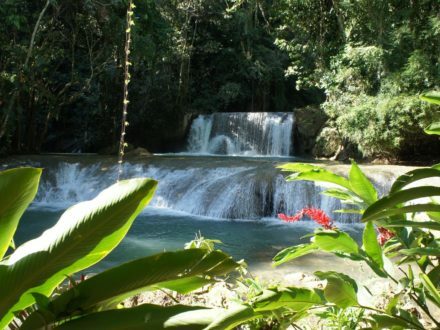 Jamaican is known for its amazing assortment of fruits that are grown all over the island. As you drive around, you will see many stands along the side of the road selling a variety of different fruits and vegetables that are grown from local farms. We will also stop to get some fresh sugar cane or coconuts along the way. A Jamaican patty is a common quick meal in Jamaica, maybe similar to getting a burger at McDonalds. The Jamaican patty is a flaky pastry, often a golden yellow color and filled with a variety of different fillings. The most common filling is seasoned ground beef – known as a “beef patty”. Other common fillings are chicken, vegetables, shrimp, lobster, fish and cheese. The patty is often paired with coco bread (as seen in picture). The bread has a hint of coconut, a bit starchy and sweet and paired together is a mouth watering meal. There are several well know patty shops along the island and we will stop to get your choice of patty and coco bread along the way. Visit to a Rasta Cook Shop on the Rose Hall Strip in Montego Bay. Menu = Mango + Sour Sap smoothie, veggie chunks (dehydrated veggies, their meat substitute), ackee, callaloo, mixed veggies, dumpling, yam, potato, cabbage).